Learn wayang puppet, the shadow puppet from Central Java. Children learn about "The Birth of Gatotkaca", the wire-muscled iron-boned Indonesian Super Hero. 1. Introduce one of the easy techniques for making Batik using safe materials that replace thewax heating process. Children will create a Batik pattern, dye it, and then wash it. 2. Instill an understanding in children from an early age that Batik is part of their Indonesian heritage. 3. Practice philosophical values like local wisdom that are evoked in the Batik making process. 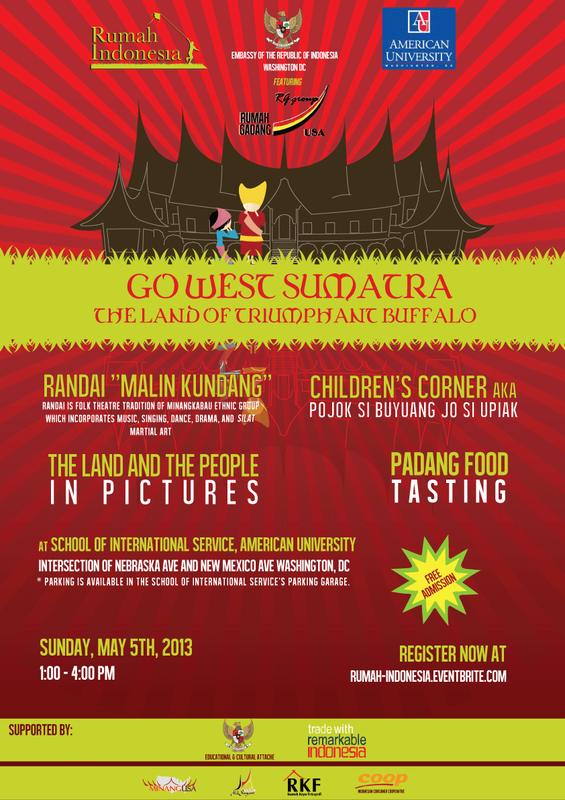 Let us enrich our children by introducing cultural diversity of our Indonesian homeland.